A puzzle twist on solitaire! Get away to the Fairway! Golf solitaire is a puzzle twist on the classic solitaire card game. Simply play one card up or one card down from your draw pile to clear the puzzle board. 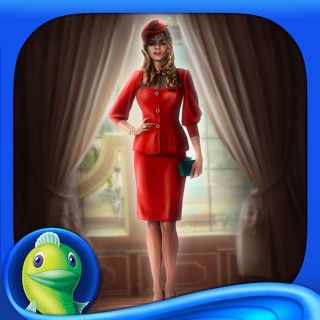 Play challenging solitaire puzzles on hand-painted, scenic golf courses all around the world. • Daily Course mode features special themes, challenges, and rewards. • Enjoy themed events every weekend. • Over 1,000 solitaire levels and counting! • Play solitaire for as long as you like; there are no lives to limit your game play! • Get swept away to different destinations in special week-long events. Get rewards through Stamp collections, Trophies, Tours, mini-games, events, playing streaks of cards, and daily gifts! • Collect adorable hand-drawn stamps and complete collections for rewards. • Enjoy fun mini-games like McDinko, Wild Shot, Long Drive Contest, and Gopher Derby. Fairway Solitaire is Fun and Easy to Play! • Simply play one card up or one card down from your draw pile, it’s that easy! • Stay on par by removing the most cards in each solitaire hand. • If you get stuck, select a golf club from your bag, each of which acts as a playable card that can be used as part of your solitaire strategy. • Expertly play through puzzling solitaire challenges; rough hazards, sand traps, and rain hazards using special power ups - just like a pro! Join a Country Club, with Fairway Solitaire players like you to earn exclusive rewards and gifts each week, just for playing on a team! • Complete exclusive Country Club stamp sets for even greater rewards. • Use Chat to collaborate and strategize with your Club members in the game! • New badge feature for top earners in Country Clubs. I have been playing this game for ~7 years and I still love it. Now for the greedy, money hungry developers, what is ur problem? i play this game on all my devices. Today on my Ipad I can buy 450,000 golf bucks for $99; however on my Ipad mini today I can buy 2,650,000 golf bucks for $99!!! Why the big major difference in price, and the price of your Midas clubs at 135 midas clubs for $99 on ipad vs 950 clubs for $99 on my mini is pretty cheap on ur part. I once bought (not that many weeks ago) like 2000 midas clubs for $99!! i am obviously resigned to playing on one device as it is the only one that hands out a bargain. Prices should be bargains if you really want people to play and continue and should be the same on all devices. I am continually waiting the bargain prices to stock up but they are few and far between and when I run out I move on to the next game (right now hidden object games) - I am willing to spend the money but only for big bargain! i am updating to complain and would like explanation as to why the prices on one device are not the same price on another. on aug 25 of this year i splurged on almost 4,000,000 golf bucks for $99 (thats right just under 4 million) today on my ipad i can only get 420,000 for $99 - i am only getting these great offers on my ipad mini. but i like to play on bigger screen too. still love this game though, have been playing at least 5 years. There are features that used to work, that NEVER work now, and I don’t use that word lightly. Like the replay feature where you used to be able to replay a hole.... it NEVER allows you to replay a hole anymore. Also, now when you click on the clubs to use a free club, a screen pops up that says that feature isn’t available at this time??? There are times when I win a bonus and my money isn’t reflected in my total.... That being said.... Now my opinion on the play: There are WAaaaay too many gopher got ya, pop ups, seems like that is all that ever pops up any more. Plus now, not only do you lose just cards, now you lose cards from your draw pile and he steals your money??? When did people start becoming so greedy with fake money? It’s hard enough to get any money without that little rodent taking it every 20 seconds... Being Kinda stingy with that fake money don’t ya think? How bout throwing in some kind of I don’t know magical bonus every now and then when a guy is down on his luck.... Especially if your going to have that mutant eating up all the cards and money all the time! Geez. I can’t even afford to buy clubs.... EVER! I have to depend on the videos & Free club cards for what I do get. Need to loosen up those fake purse strings a bit, if a guy can’t ever win a game there’s no point in even playing it anymore. Just saying. While you’re jetting off to Italy I’m extremely frustrated by the way you “Shuffle” the cards, actually I don’t think you shuffle I think you set up the deck to make some games impossible to win. I am the inventor of computer card solitaire so I may be more particular than some. But, do believe that it borders on immoral to make a game close to impossible to win. For example the picture shows a game I’ve been trying to win for 3 days (I play a lot). I’d think it was the luck of the deal, except that I win or score 3 or 4 the first of the six games in the set 90 percent of the time. I actually score five 25 percent of the time. However, I’ve gotten past the fifth game twice and the fourth game only four times. The sixth game seems impossible to beat, but I’ve only played it twice. Even though I beat the first game (score 3 or more) I seldom beat 2 or 3 and 99 percent I can’t win by the time I’m playing four. So, why is number 1 so easy and the rest so difficult. You set the game up that way, it’s easy to do and you’re doing it. If this game wasn’t so much fun I’d complain to Apple. But, I don’t want you taken down. But YOU MUST MAKE IT MORE FAIR!! !